Simplifying rational expressions and graphing rational functions. Please download the Viriginia SOL Standards for Pre-Calculus here. The Pre-Calculus course in Loudoun County is really a combination of Trigonometry and College Algebra. Algebra II skills are critical - especially factoring, graphing, and solving quadratics. Brand new material is introduced in Pre-Calculus during the Trigonometry instruction. 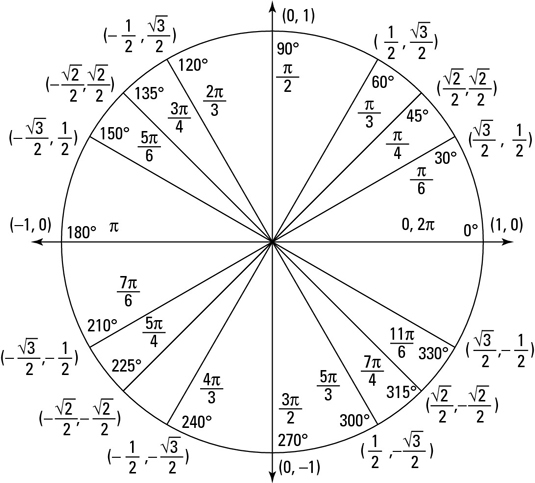 Heavy emphasis is placed on the unit circle, trigonometric identities, and solving trigonometric equations. Logarithms and exponential functions are also heavily emphasized.